Erika Wiggins is Ski Utah’s travel guru and a Salt Lake Realtor. She visited Utah to learn to ski, but was smitten by the deep powdery snow and the eclectic vibe of Downtown Salt Lake City. Three months later, she resettled in Salt Lake to enjoy the Wasatch and Greatest Snow on Earth full time. Today Erika is heavily involved in the local community, volunteers weekly, and shares a local’s view of the area on her blog – Salt Lake Living. She lives in Sugar House with her family and is an Associate Broker with Keller Williams Real Estate. 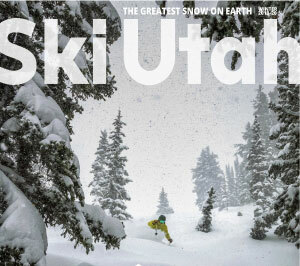 As Ski Utah’s “Travel Tips and Deals” writer, she scours Utah’s ski-scene for inspired vacation ideas and tricks to make each visitor’s stay extraordinary.